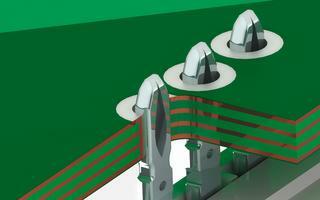 SEMiX 6 features state-of-the-art press-fit pin technology for the power and auxiliary terminals. Employing solder-free mounting technology, the 17-mm-high SEMiX product family is designed to maximize the efficiency of our customers’ mounting processes. The SEMiX 6 allows for connection of all the terminals in a single production step and rounds off the SEMIKRON commodity product portfolio. When it comes to meeting our customers’ needs, the SEMiX 6 module platform constitutes a scalable and flexible solution for demanding and high-performance inverter architectures. SEMiX 6 features press-fit technology for both the auxiliary and the power terminals. Using press-fit technology for all the terminals reduces assembly costs to a minimum and offers the possibility of 100% process control. SEMiX 6 introduces a new press-fit technology designed to ensure full compatibility with the market standard. 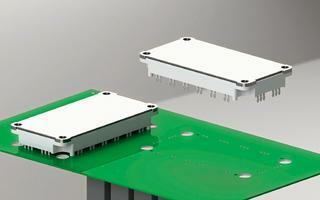 The press-fit zone is optimized for gentle and reliable PCB assembly. SEMiX 6 will be available as a B6U rectifier module for up to 2200V. These modules will mark the launch of our new SKR PEP rectifier technology for leading edge power density and environmental robustness. With junction temperatures of up to 175°C, this technology delivers far superior performance than comparable solutions on the market. This improved performance combined with our design for minimum power losses is ideal when it comes to achieving compact inverter systems on a single PCB basis. 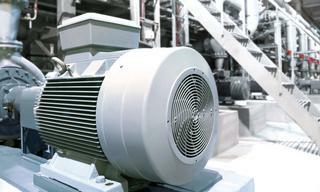 The target area of application is rectifiers for motor drives of up to 160kW. The rectifier portfolio is the perfect match for the IGBT 6-packs in the same module package, equipped with the latest IGBT chip technology in 650V, 1200V and 1700V. SEMiX 6 is available as a B6U rectifier module with a VRRM of 1600V and 2200V optimized for drive inverters of up to 160kW. 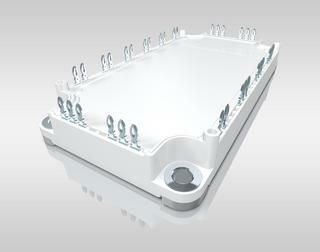 The portfolio is rounded off by IGBT sixpacks and CIBs in 650V, 1200V and 1700V. SEMiX6 features 7th generation IGBTs for lower costs thanks to higher current density.